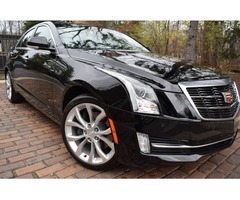 VERY SHARP BLACK EXTERIOR matched with a like new BLACK (HEATED/FRONT)Leather interior 2015 Cadillac ATS-4 PERFORMANCE EDITION WITH LOW MILES. 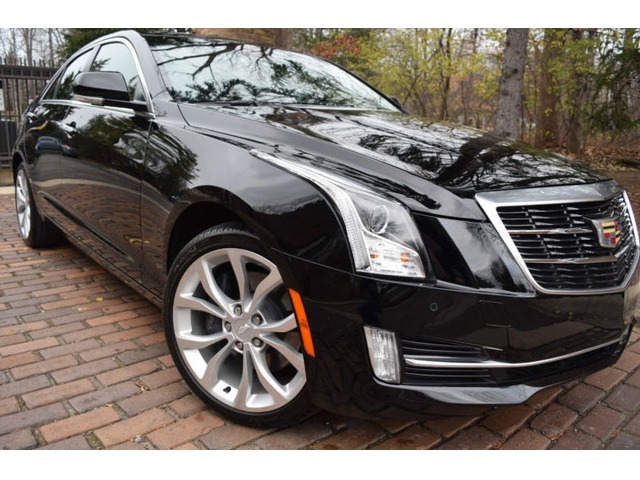 This paint shines like no other and is a CLASSIC Cadillac color through and through///TRY TO FIND BLACK ON BLACK LEATHER. 2.0 LITER 4 CYLINDER ENGINE(TURBO CHARGED) THAT HAS AN AMAZING HORSE POWER// THIS IS WHAT CADILLAC KNOWS HOW TO BUILD BEST. AMAZING AWD SYSTEM(ALL-WHEEL-DRIVE). 6 Speed AUTOMATIC transmission for maximum performance and added power. Sirius/XM satellite radio. PARK ASSIST SYSTEM(FRONT SENSORS AND REAR SENSORS IN BUMPERS). Premium BOSE surround-sound audio system with real time traffic/an extremely well designed i-pod integration interface. NAVIGATION SYSTEM with pin point map accuracy directions for go anywhere driving. Dual zone automatic climate control. Sirius/XM satellite radio. 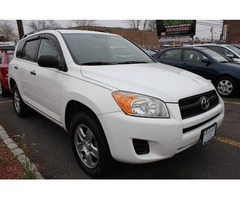 DUAL FRONT HEATED premium power leather seats with lumber adjustment for driver. REAR VIEW Back up camera which display live video feed. ON STAR on demand. REAR PARKING SENSORS. FRONT ALERT SENSORS. FACTORY REMOTE STARTER. PUSH BUTTON START ON/OFF. XENON HEAD LIGHTS. DUAL EXHAUST CHROME TIPS. 8 INCH NAVIGATION SYSTEM. TOUCH MEDIA CENTER. LEATHER WRAPPED STEERING WHEEL. CRASH ALERT SYSTEM. PADDLE SHIFT ON STEERING WHEEL. POWER OPERATED SUNROOF WITH SHADE OPTION. SPORT PEDALS. 2 FACTORY KEYS/2 FOBS. FACTORY REMOTE STARTER. COLD WEATHER PACKAGE(HEATED FRONT SEATS). BLUE TOOTH. 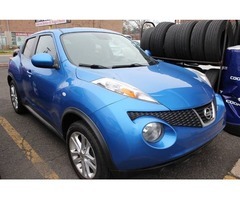 18 Inch factory ALLOY wheels with 18 inch high performance tires(BARELY DRIVEN,LOOK AT THE MILES). Tire pressure monitoring system ( alerts you when one of your tires is low on air). Vehicle anti-theft ... and so much more.